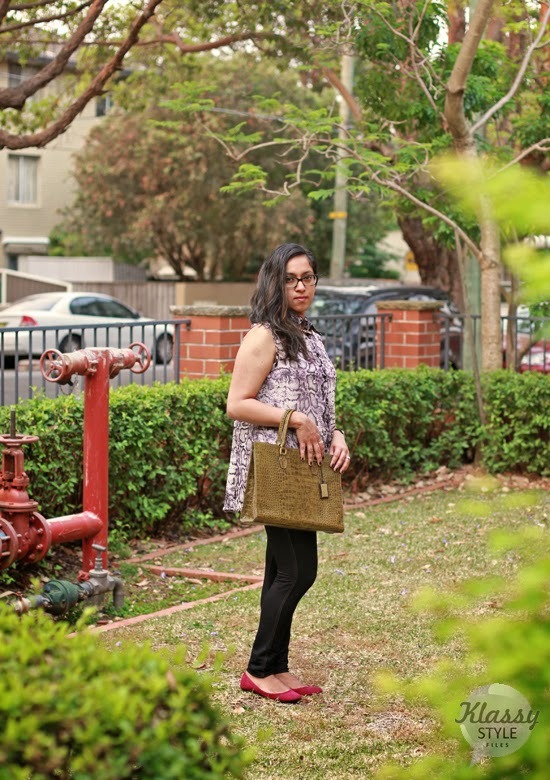 I recently wrote an article on Spring Fashion Ideas for ‘Indian Link’. See ‘Press’ section of the blog. I was keen to interpret SS13/14 runway trends into wearable fashion and the animal print one particularly struck my fancy! 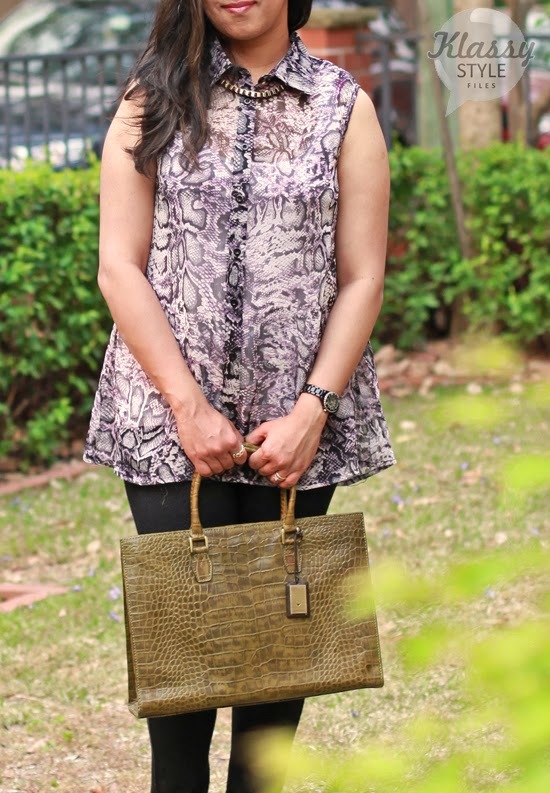 Multiplying the effect of the reptile print/ texture by teaming this breezy top with a Hidesign croc bag gives this outfit a sophisticated look. A convenient pairing with plum suede flats makes it an easy going style for work. I’m thinking more along the lines of client meeting for a styling session! Isn’t this an impressive, polished and chic look? And now, take this look to an evening out affair…. 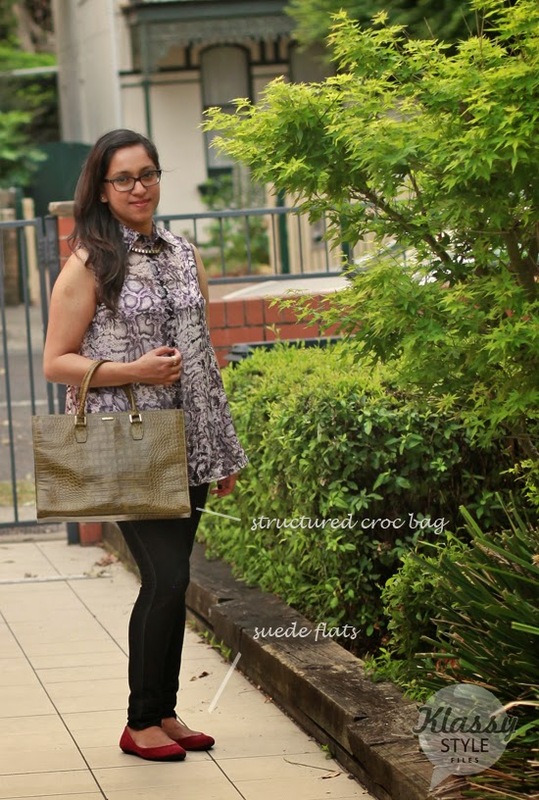 Simply swap the shoes and bags! I added a croc textured clutch this time in stark black and super high heel sandals for that glam touch. Subtle details can make a big difference to a look..I’m hinting at the black nail polish and ring. Isn’t it an easy transformation? How do you like this styling idea? Do let me know your feedback…. Nice animal print top. And I am loving those shoes. 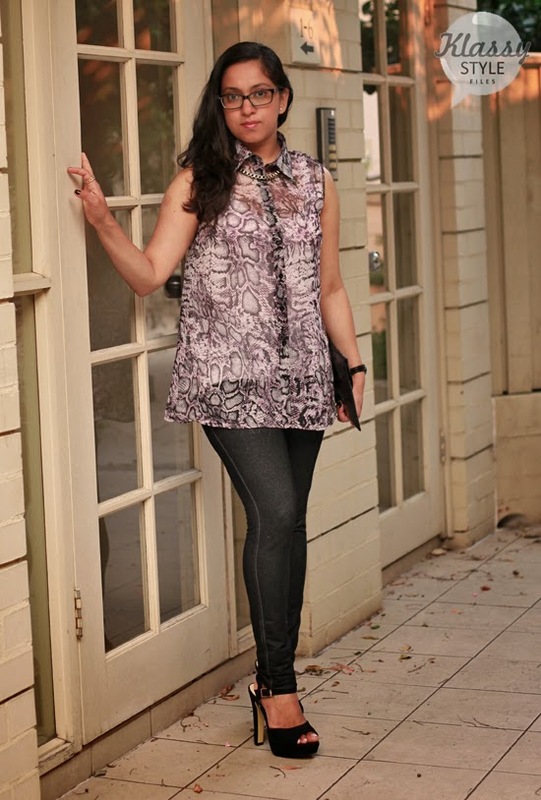 Love how to styled this gorgeous animal print top in 2 ways, Kalyani. And adore those plum flats. The clutch in the second look is so yummy! You made animal prints a ” can think of” option to me. I never thought of decency n sophistaction in those kind of prints. Fabulous post..absolutey ove the top..want one right now.